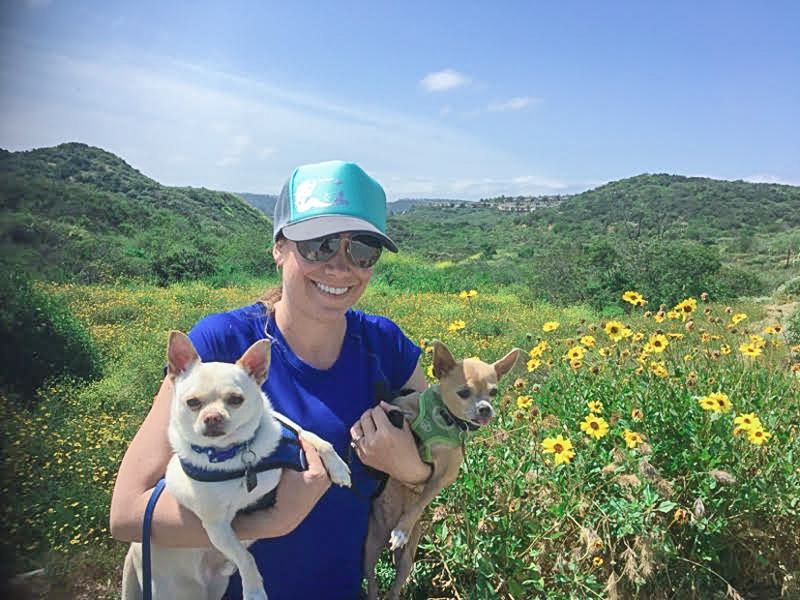 We love hiking San Diego, and we recently checked out Guajome Regional Park in the North County San Diego/Oceanside area. This park has lots to offer for all ages, and we both agreed it’s one of our best hikes in San Diego so far. Guajome Regional Park offers 4.5 miles of hiking trails, plus 33 camping sites for those interested in camping San Diego. The park has something to offer people of all ages and abilities, including a small playground for children, basketball court, fishing ponds, and even wedding/special event facilities. The trails are easy to navigate and great for walking/hiking and biking. 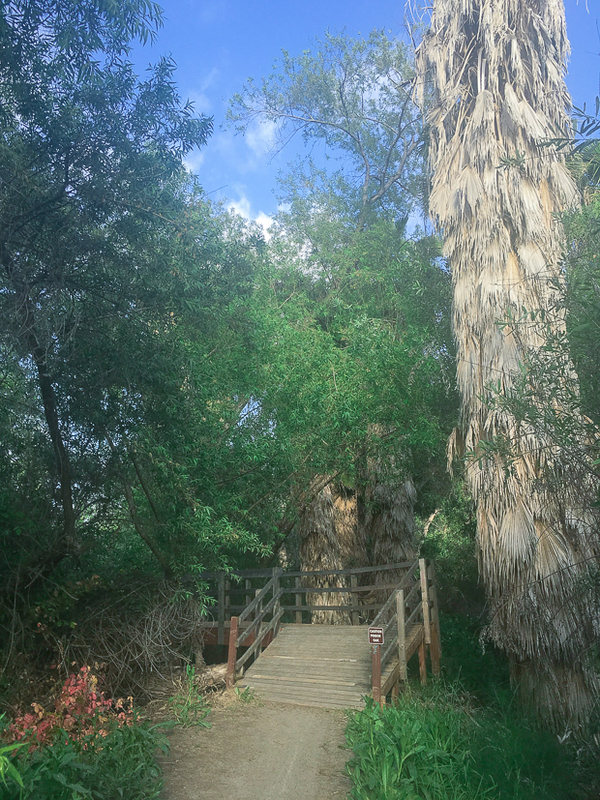 If you love San Diego camping and want to add Guajome Regional Park to your summer vacation list, there are cabins, partial hook-ups, and a caravan pavilion – we loved how shady and peaceful the campground was, and we definitely plan to camp there in the future. The ponds at Guajome Regional Park add a beautiful ambiance to hiking there, but they also attract mosquitoes. We saw signs indicating that the area is treated for mosquitoes, but we’d also recommend bringing mosquito repellent, especially if you plan to camp. The trails also have Poison Oak. 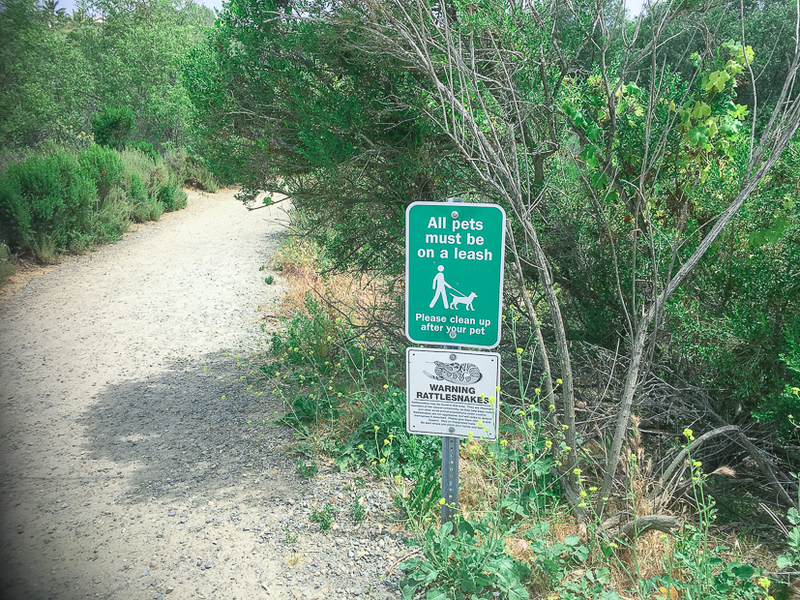 The trails are well maintained and the Poison Oak is off trail, but if you’re hiking with children and pets, it can be easy for the Poison Oak to blend in with all the lush foliage. These Poison Oak cleansing towelettes can come in handy in case someone does accidentally brush up against Poison Oak. Keep an eye out for rattlesnakes and hawks. 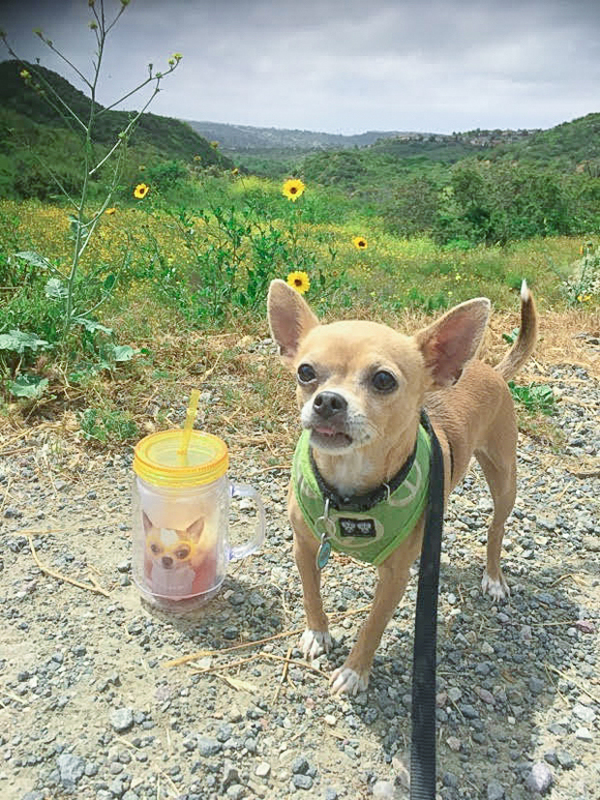 We chatted with a fellow hiker who mentioned that a hawk on this trail tried to swoop down and scoop up his chihuahua – and since we just recently saw this happen to a rabbit in our backyard, we’re definitely keeping a close eye on our pets when they’re out in nature. Guajome Regional Park is located in the coastal community of Oceanside, about 8 miles from the Pacific Ocean. Check campsite fees and make a reservation. 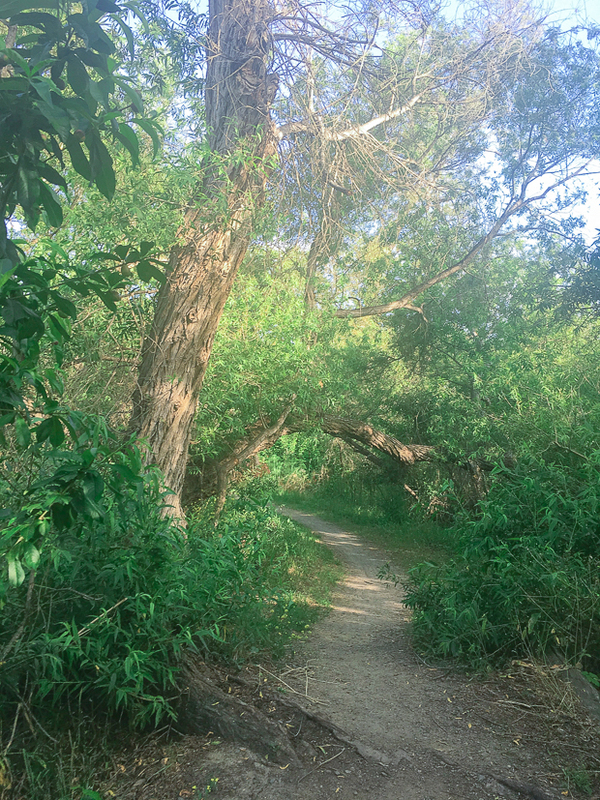 Guajome Regional Park offers 4.5 miles of trails that meander through diverse Southern California habitats including woodlands, chaparral, wetlands and mixed grasslands. 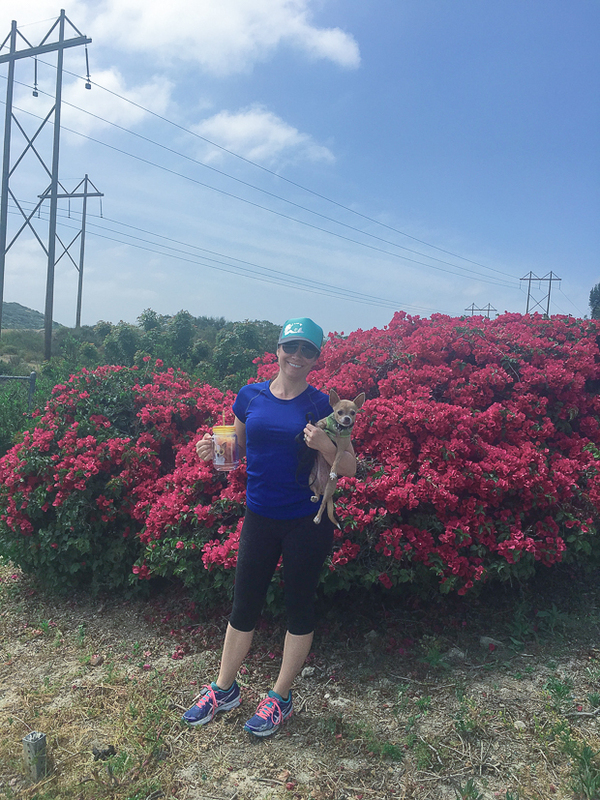 The trails are an easy hike/walk for all ages and dogs, too (we’ve walked the trails with our chihuahuas and our nephews ages 5 and 7, plus a baby stroller with a 10-month old and everyone had a great time). We love how lush and green these trails are – so beautiful! 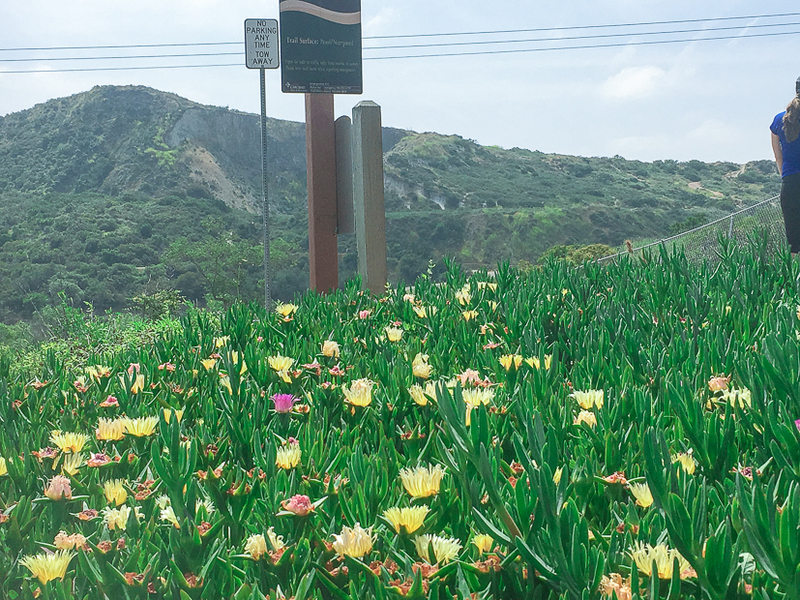 Spring is the perfect time to explore the great outdoors and go hiking in San Diego. The weather is beautiful, there are tons of trails to choose from and, best of all, it’s usually FREE. 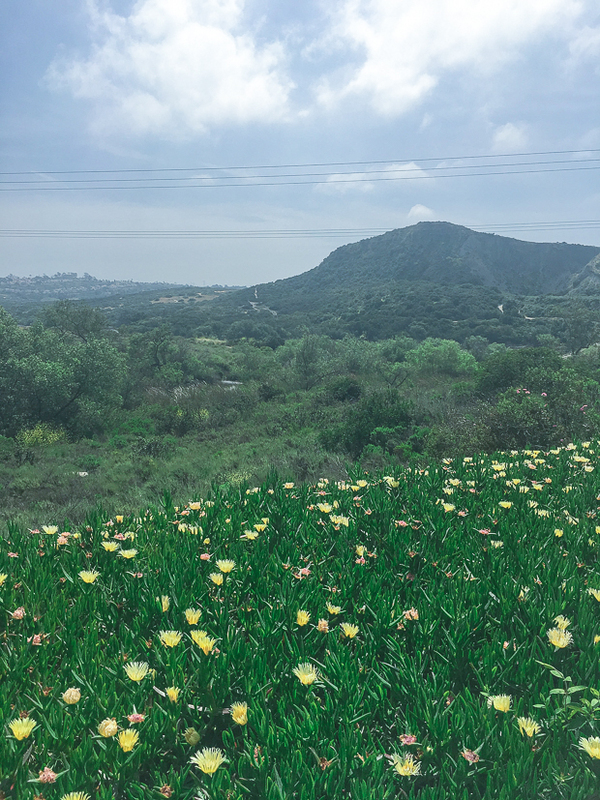 Lake Calavera Carlsbad is one of our favorite hikes in San Diego – it’s the largest of 13 city-owned, dedicated and managed nature preserves in Carlsbad. It’s easy to get to (just off the 78 freeway), there’s plenty of free street parking, and it’s rich with wildlife and beautiful foliage (this year especially, thanks to all the rain we’ve had!). And, it’s dog friendly. We brought our pups, Tiki and Kaia, along for the adventure. What’s unique about this nature preserve? You can explore a volcano here (it’s now extinct, of course). Mount Calavera is actually a 22-million-year-old volcanic plug – and one of only three volcanic plugs in Southern California. We hear there’s an awesome view of the ocean from the top of the trail on a clear day, but we didn’t make it that far. If you bring your pups to Lake Calavera, make sure they’re leashed and be sure to watch out for rattlesnakes. It’s very common to see them on the trails in spring and summer – in fact, there was one on the trail last time we were there (and we had a snake in our backyard just a few weeks ago, which our dogs were very eager to inspect), so make sure to keep an eye out for local wildlife crossing the trail. 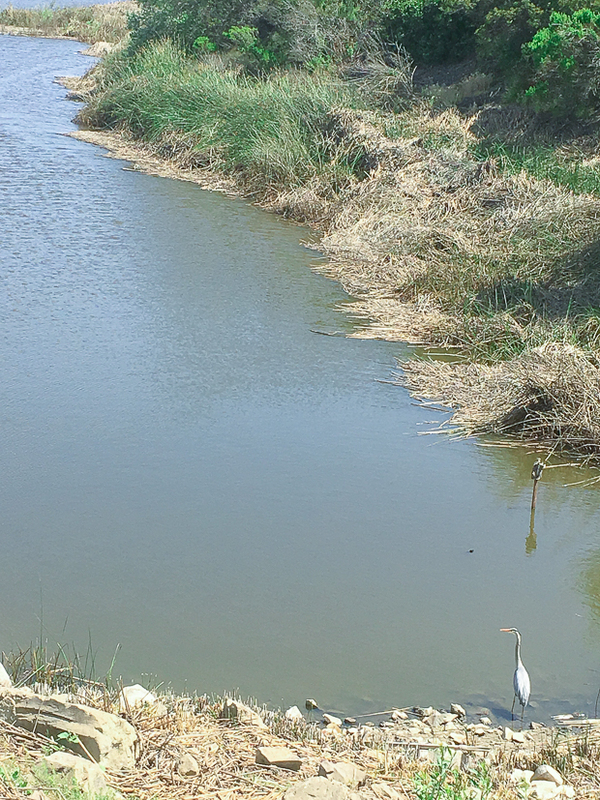 Lake Calavera also has more than four plant species and 17 native vegetation communities on site, including Diegan coastal sage scrub, southern mixed chaparrel, freshwater marsh and more. It’s really amazing what we have in our backyard just a few miles off the freeway. There’s lots of nature to see, and the hills were alive with green when were there. 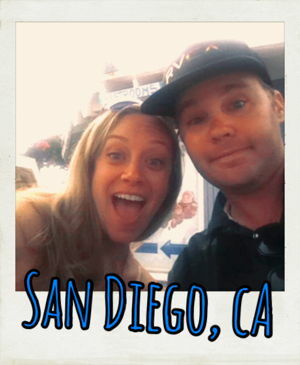 Almost made us feel like we were on vacation, even though this nature preserve is right in San Diego’s backyard. Lake Calavera Preserve was established as part of Carlsbad’s Habitat Management Program to protect the rich diversity of plants and wildlife in San Diego County. 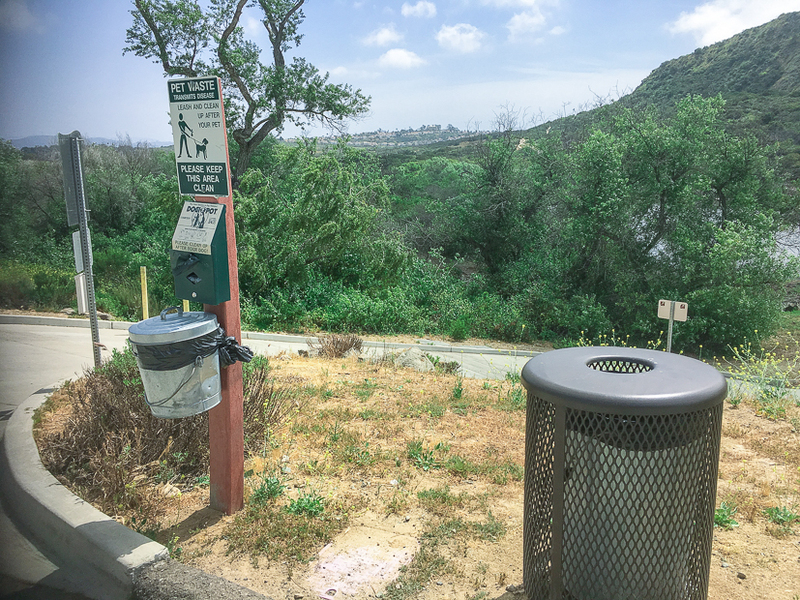 Not only is Lake Calavera a beautiful place to go for a hike, but you can also volunteer for trail clean-ups and special events, or participate in the Adopt-a-Trail program and help construct new trails, foot bridges and more. Kaia is ready to volunteer for pup clean-up. 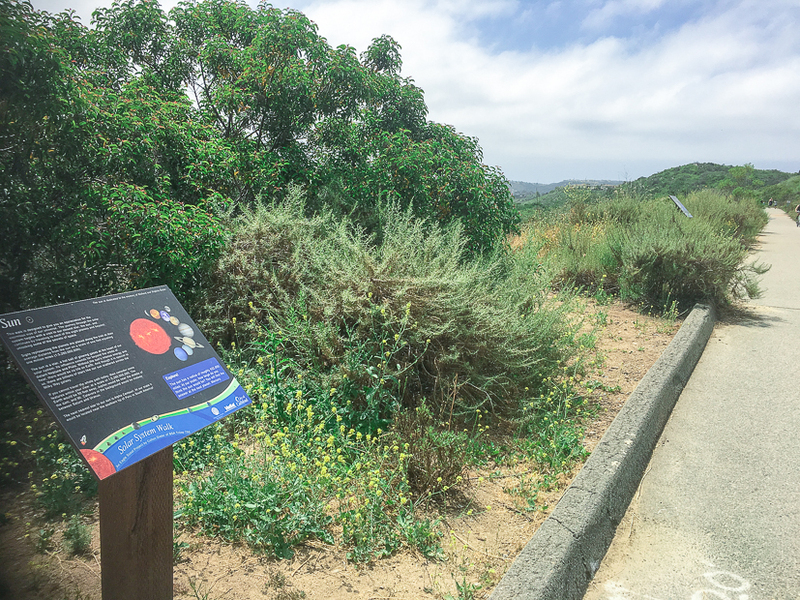 If you’re looking for something unique, there’s also a super Solar System walk that’s great for families – the walk consists of 10 interpretive signs along a 1-mile trail that represent each plant, the Sun and Pluto. The project was created by a local Eagle Scout to demonstrate the relative distance between the Sun and all the planets in our solar system. Great option for families who want to get outdoors and do something fun and educational. Lake Calavera is a good option for a variety of activity levels. The six different trails make for a fun “choose your own adventure” – this is a place we love consistently coming back to because there’s so much to explore. You can go the “easy” route on the 1.9 mile loop that goes around the lake (our favorite with the dogs), or you can go on a more “difficult” route and take the trail uphill to Mount Calavera (it’s a 513-foot-high summit for those looking for something a little more adventurous) – one day, we’ll make it up to the top to see that ocean view. 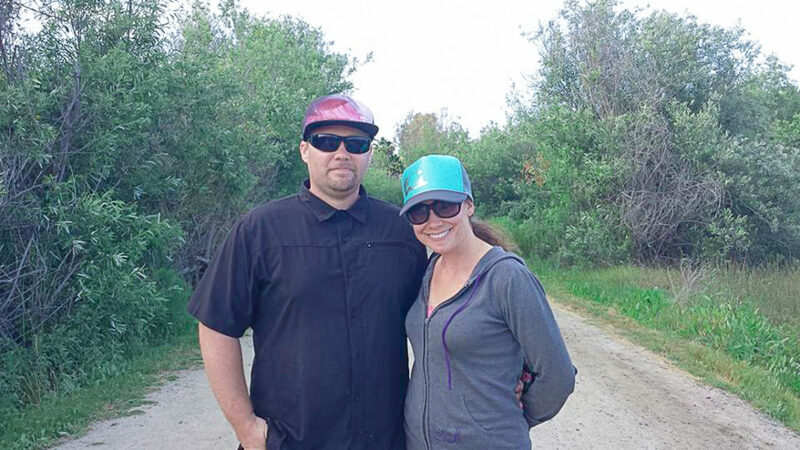 🙂 You’ll find everyone from families pushing strollers to joggers, mountain bikers, couples doing workouts, and more at Lake Calavera – there’s really something for everyone. The area is expansive enough (110 acres) that it never really feels crowded. This has definitely become one of our favorite places to hike (aka walk) in San Diego. Here are a few tips if you want to check it out! Lake Calavera is located off Tamarack Avenue in Carlsbad. There are a couple entrances to Lake Calavera, and we recommend the entrance off Tamarack. The easiest way to find parking at Lake Calavera is to head East on Tamarack Rd. You’ll see the lake right away when you arrive, and free street parking is typically readily available. The Tamarack entrance has a restroom, drinking fountain, maps, and pet waste bags/receptacle. This is also the best, most accessible entrance if you want to take a leisurely stroll around the lake. The other entrance (off of College Blvd./Sky Haven Ln.) has a super cool “bamboo forest,” and sculpture garden, which are definitely worth checking out – we love the variety of this hiking spot! The Sky Haven Ln. entrance is usually your best option if you want to to take the more active trails. 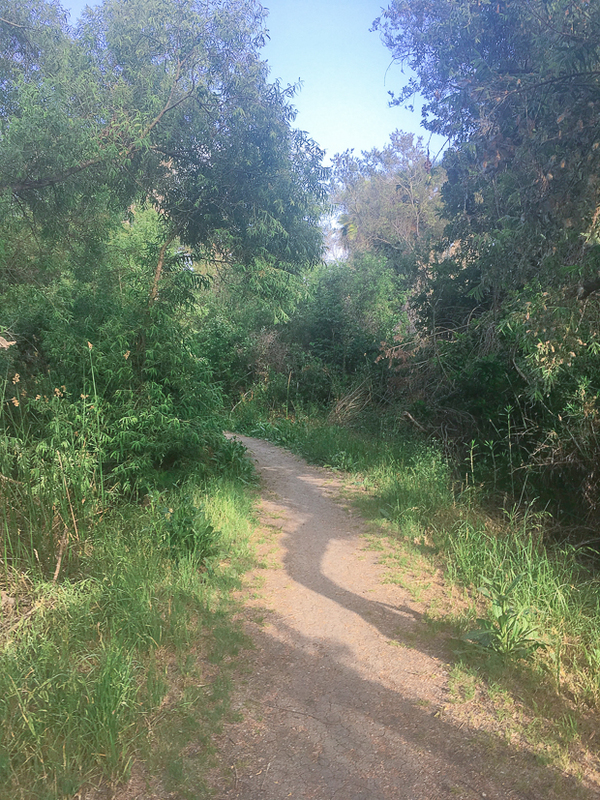 The trails can get pretty hot in the afternoons during the spring and summer, so we recommend going before 10 am if you can to avoid the heat. What are your favorite spots to hike in San Diego?